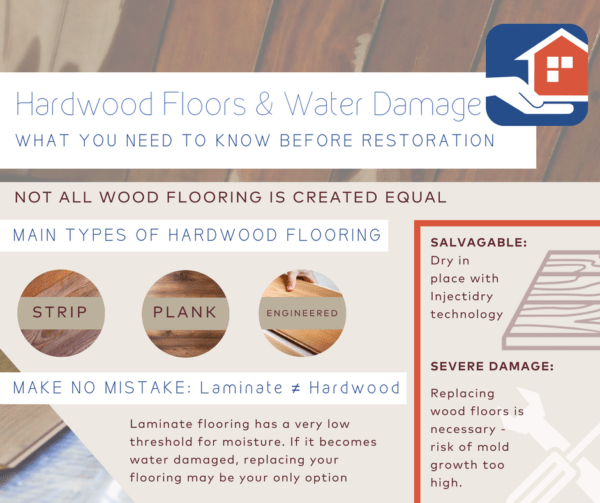 A very common question we receive at Certified Restoration is, “Can I dry hardwood floor after water damage?” Many homeowners are opting for hardwood floors due to style, value, and convenience- increasing their popularity. The only downfall is that in the event of a flood or water overflow, hardwood floors cannot be easily taken out and dried like carpet can. This brings us to our question – Can you dry hardwood floors in place, or does everything need to be ripped out and replaced? Water damage can increase drastically if not taken care of properly, professionally, and in a timely manner. Here are some of the main considerations you should make when calling a local restoration company to dry hardwood floor. Water damage can be greatly decreased depending on the restoration company’s response time to the problem. 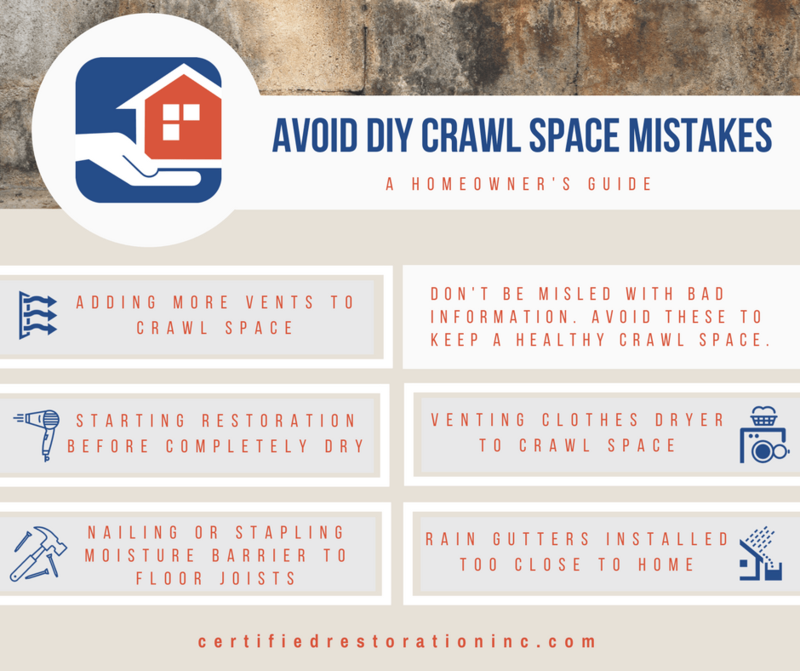 According to the EPA, mold can grow in as little as 48 – 72 hours on almost all household material if they have a moisture level of 16% or higher. Time is of the essence when it comes to water damaged hardwood floors – the moisture, temperature, and dust layer beneath a flooded wood floor can provide an ideal environment for mold and many other problems. Make sure your local flood restoration company offers 24 hr emergency response and can get the job started as soon as you pick up the phone. Laminate Wood Flooring: Laminate wood flooring has become very common among California homes. Please note that laminate floors are NOT considered wood or hardwood flooring. This type of flooring is most often replaced in the event of a flood and is hard to salvage because they have a low tolerance for moisture. Moisture affects all floor types differently. “Normal” moisture content for wood floor can fluctuate between 6% and 12%. A flooded hardwood floor can have up to 40% moisture content and can retain well above the normal amount of moisture for weeks if left to dry on it’s own. Nails may begin to lift, glue may release causing separation between floor pieces, and tongue and groove floors often cup or buckle when moisture has been absorbed. After severe water damage, it is likely that wood floors will have to be replaced. Wood is specifically susceptible to mold growth, so it is important that you ensure that the floor and the sub-floor are completely dry. If floors have cupped, popped, or cracked, it may be an indication that the sub-floor has experienced water damage as well. If this has occurred, it will also need to be replaced before installing new dry hardwood floor. If you decide to dry hardwood floor in place, Certified Restoration has sophisticated drying equipment that forces airflow beneath the surface of the floor, allowing moisture to be released. Keep in mind that this can be a slow process and take up to seven days. A restoration specialist can thoroughly inspect damage to determine the right plan of action for your home. They will work with you and your insurance company to decide the best option – drying or replacing the floor. The experts at Certified Restoration have saved hundreds of hardwood floors by using advanced drying equipment and over 20 years experience. We’re here to help, so give as a call.